So, ARP Networks describes its basic plans with labels like “small”, “medium” and “large”. Not unusual by any means, but from there on in, things get a little bit different. 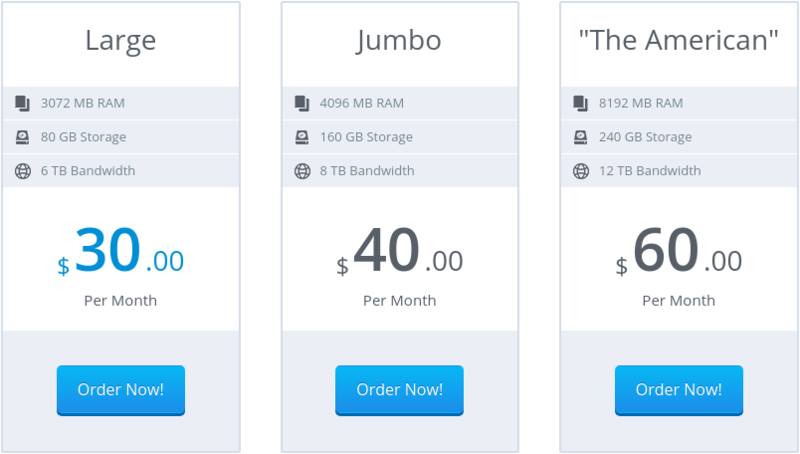 ARP Networks VPS Plans – Go big or go home. This made me laugh so hard I choked on my coffee. For some reason I can’t shake the image of a juicy triple whopper from my mind. Now this is definitely something you won’t see every day so I took the opportunity to immortalize it with a screenshot. The package being "flagged" as out of date by WordPress is Firefox from the Arch extra repository.